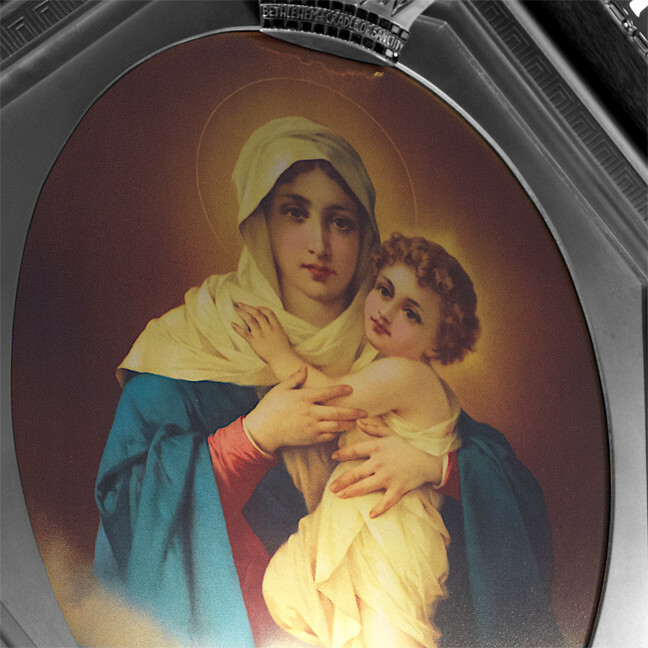 The picture of The Mother Thrice Admirable (MTA) with her Son inside the shrine portrays the close union between Jesus and Mary. It is a symbol that she blesses us with her Son. The Latin sentence around the picture “Servus Mariae nunquam peribit“ means “a servant of Mary will never perish.” This promise assures us that we can always find a place in her heart. The Unity Cross shows Christ in his relationships: Christ who, in the strength of the Holy Spirit, is united as the Son with the Father; Christ who is deeply united with Mary, his Mother as his permanent helper and associate in his work of redemption. The Father Eye symbol points to God’s provident care and love for His children. 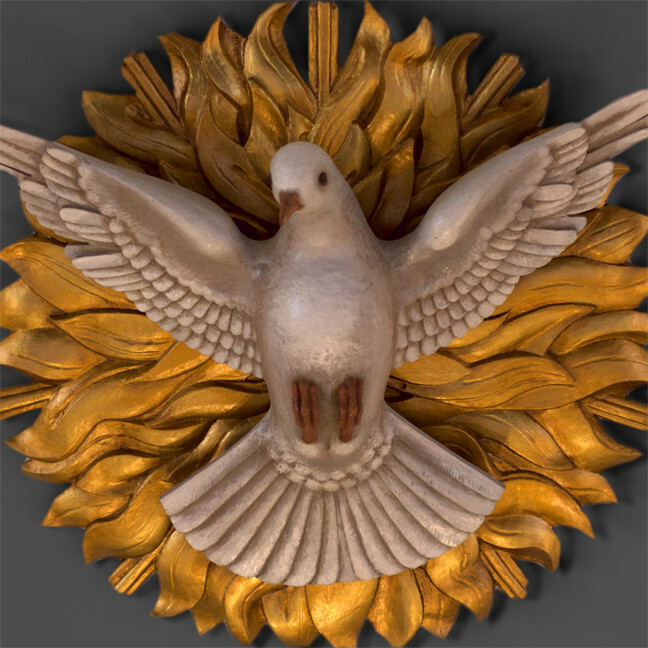 The symbol of the Holy Spirit conveys that the Holy Spirit endowed with fullness of grace and now He adorns the Church with His sevenfold gifts. 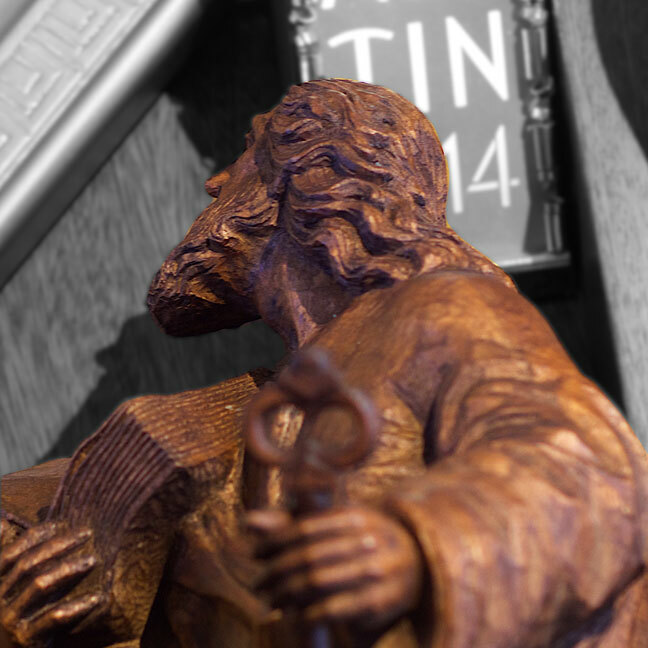 The statues of Sts.Peter and Paul reflect the ecclesial and apostolic spirit of the Schoenstatt family. The statue of St. Michael the Archangel is the oldest element in the shrine.